With more than 80% of the audience surfing data on mobile phones, AMP has become an essential part of every WordPress website. 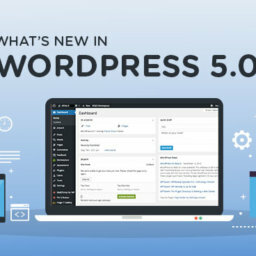 With so many themes available on WordPress, it’s difficult to identify best AMP WordPress themes for 2019 that you should use on your website. This list of best AMP WordPress themes for 2019 features the themes which are the best in creating customized and faster websites for mobile phones. These themes include magazine and news templates that go well with a website that belongs to any niche. With the need for websites to function faster on mobile phones, it is also necessary that the theme looks great on the smartphone. Furthermore, it is essential that the themes are updated with the latest facilities. 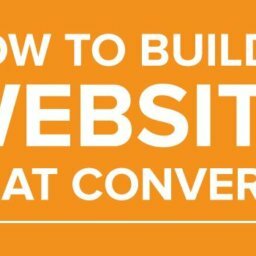 There are more than 60,000 users who are using this beautiful template which fits the bill like a hand-in-glove for blogs or content driven websites. Newspaper theme generally goes well with content marketing websites that constitute content in the form of news, magazine articles, or editorials. 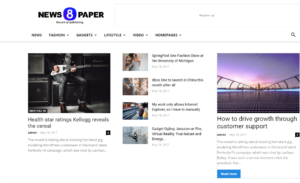 “Newspaper” is one of the best AMP WordPress themes of 2019 that you can install in your website for better publishing experience and good design. Furthermore, it allows a large amount of content and more scope for advertisements on the WordPress website. The tagDiv AMP plugin is integrated with Newspaper themes features. This plugin will help to load the content instantly on mobile devices. It is easy to set up and your website will show better performance after installation. When you will install tagDiv AMP plugin, Google will display a blue lightning logo on search. Newspaper theme will help your page rank better in the search engines. Moreover, it will help you provide a better user experience to the audience. Pixelergy’s creative outlet What I’d Say uses the NewsPaper theme. Fona is one of the best AMP WordPress themes for 2019 that you can use for your e-Commerce website. This is because it has a great design that perfectly fits the bill for e-Commerce pages. It has a modern and minimalist design. Unlike other flamboyant AMP WordPress themes of 2019, Fona provides a very simple web architect that goes well with e-Commerce websites. Soledad is among the most customizable AMP WordPress themes of 2019 which you can use to build multiple websites. 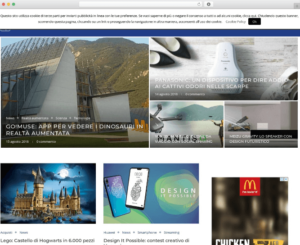 This theme looks great in websites of any niche and is perfectly compatible for AMP. It is important to note that this theme has a gamut of options for customization and is not fit for a small site. Jannah News is one of the most customizable AMP WordPress themes of 2019 that also include Publisher theme. 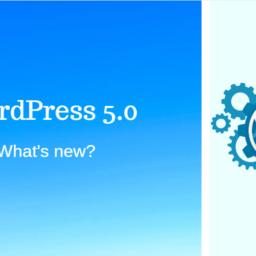 It’s a perfect blend of standard features that you find on a WordPress website and a lot of cool features that you may want to incorporate. This theme looks the best on AMP pages and mobile display. Furthermore, you can also import data from other themes by Tie Labs and other Themeforest. This is a customizable AMP WordPress theme which comes with intuitive inheritance system and high-level theming variables. You can use this theme for websites of different niches. You can also customize this theme as a blog, but it depends on the population of your website in terms of content and number of blogs. Furthermore, this is the best AMP WordPress theme for small businesses and e-Stores. There is nothing to choose between these AMP WordPress themes of 2019 because all of them have their USPs. Newspaper and Jannah News are the best AMP WordPress themes if your website constitutes blogs, articles or news. If your organization is into e-Commerce, then Fona will be the best AMP WordPress theme for you. You can also use Chap for the same. Soledad is a multi-concept WordPress theme on which you can build website belonging to any niche. 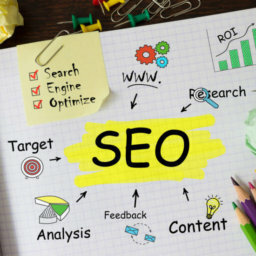 AMP website module can be a game-changer for the SEO of your website because Google is focusing more on user experience than on other things. Low page speed on mobile phones is now equal to low ranking on the Google search engine. 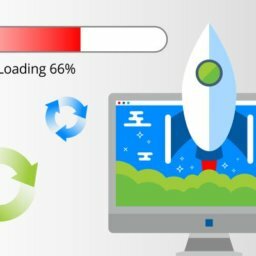 To attain a decent page loading speed, it’s important to choose the best AMP WordPress themes for your websites. At Pixelergy – a web development company in Ahmedabad, we understand the need of AMP in websites and therefore, we ensure to install themes that are the best for mobile users. Moreover, in our experience as a web development company in Ahmedabad, we have developed WordPress websites for clients belonging to varied domains and therefore, we have expertise in installing themes that are the most suitable to brands. If you have further queries on AMP themes on WordPress or have a web development project to discuss, please feel free to contact us.